What Effect Did Star Wars: The Old Republic's Launch Have on World of Warcraft? Not much, apparently, at least not in December. Blizzard CEO and co-founder Mike Morhaime was only able to give a vague answer to the question presented during the Q&A portion of today's Activision Blizzard financial results call, but that vagueness speaks volumes. 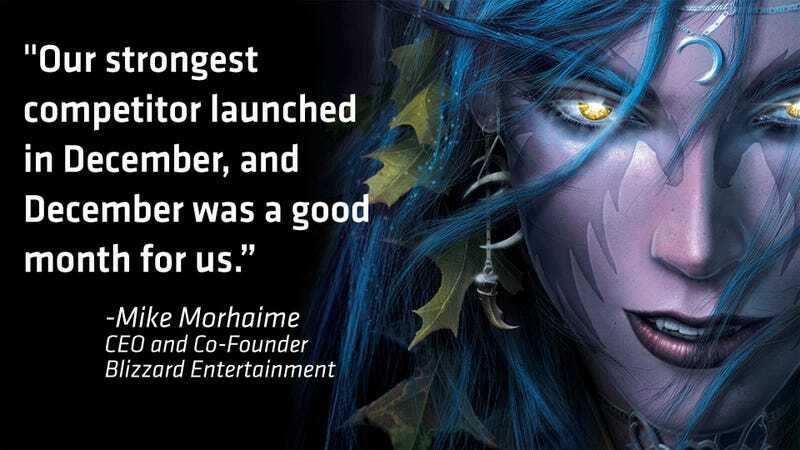 The answer came after the announcement that World of Warcraft subscribers were at 10.2 million at the end of the year, only 100,000 less than the previous accounting in September of 2011. Of course anyone that wanted to cancel World of Warcraft in favor of the Dark Side of the Force would have had their subscription run out in January, so there's still plenty of room for speculation.